This is quite possibly the easiest truffle recipe there ever was. 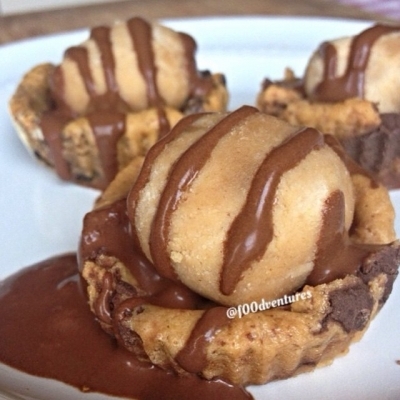 3 ingredient peanut butter truffles atop a a baked quest cookie dough bar. because cookie dough and peanut butter were just meant to be together.